Official Charity: Bald Head Island Conservancy Please Join and Donate today! Image Galleries: Click any title! 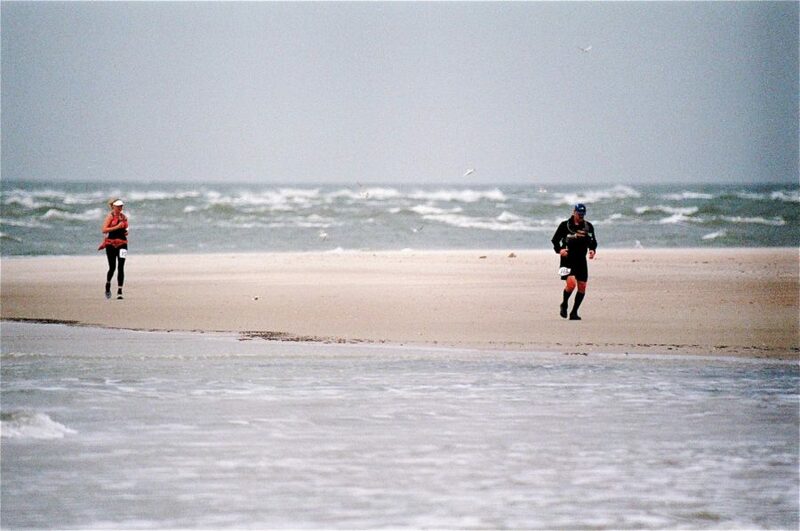 The fourth annual Badwater Cape Fear 50km / 51mi ultramarathon took place March 18 this year on Bald Head Island, North Carolina. A field of 183 runners from seven countries and twenty-six American states competed, with 76 of 79 runners completing the 50km race and 101 of 104 runners completing the 51-mile race. 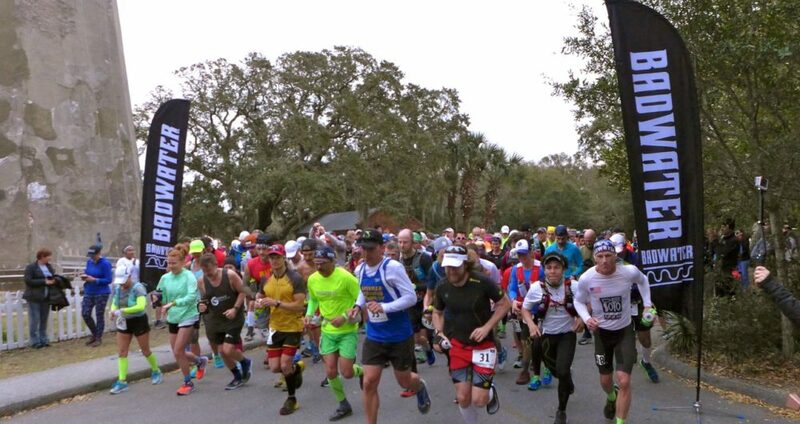 With 50km and 51-mile race options, Badwater® Cape Fear features a twelve-mile warm-up on the car-free, one-lane-wide roads of Bald Head Island, followed by either 19 or 39 miles of running on the wild and secluded sandy beach between Cape Fear and Fort Fisher. The race is held along the Atlantic Seaboard with spectacular views of the Frying Pan Shoals to the east and wild and undeveloped marshlands to the west. Running this remote coast is a dramatic, invigorating, and inspiring manner in which to experience the Cape Fear region in all its grandeur! This exquisite natural setting is the perfect antidote to the “real world” and a wonderful counterpart to the desert sands and mountains of Death Valley and Anza-Borrego Desert featured in the two West Coast BADWATER® races. Registration is already open for the March 17, 2018 edition, and there is a 200-runner limit which will sell out. Whether you are a grizzled Badwater veteran, or looking to take on your first Badwater race, we hope you will join us! Special thanks, Volunteers! YOU made it happen! This event is held under permits from the Village of Bald head Island and Fort Fisher State Recreation Area, and with the incredible support of Bald Head Island Conservancy and Friends of Pleasure Island State Parks. We thank them, and all our North Carolina friends, for their support!